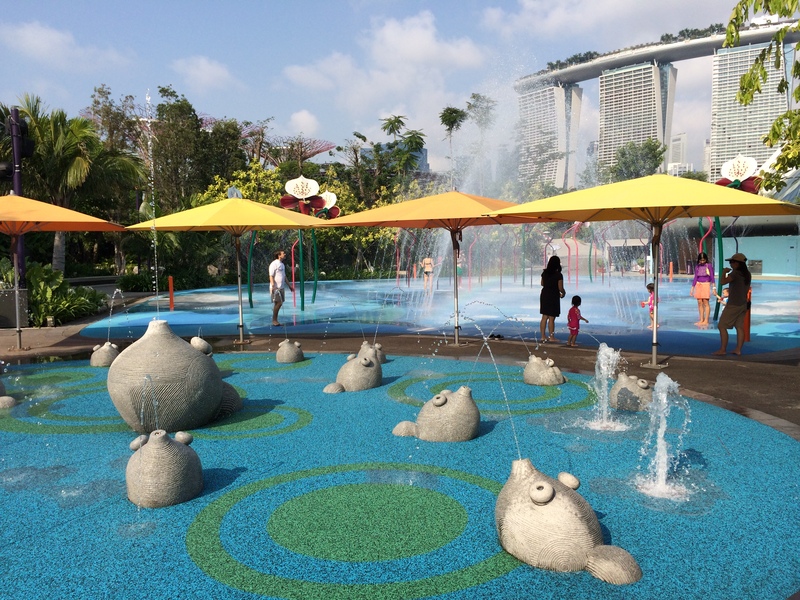 Following our trip to the Marina Barrage, I suggested that we should go to Gardens by the Bay. The Daddy had thought why would we want to go there? He hadn’t wanted to pay the entrance to enter the 2 domes. But I said there’s lots to do there that you do not have to pay for, and that includes a LARGE water playground for our little toddler. And so we went. 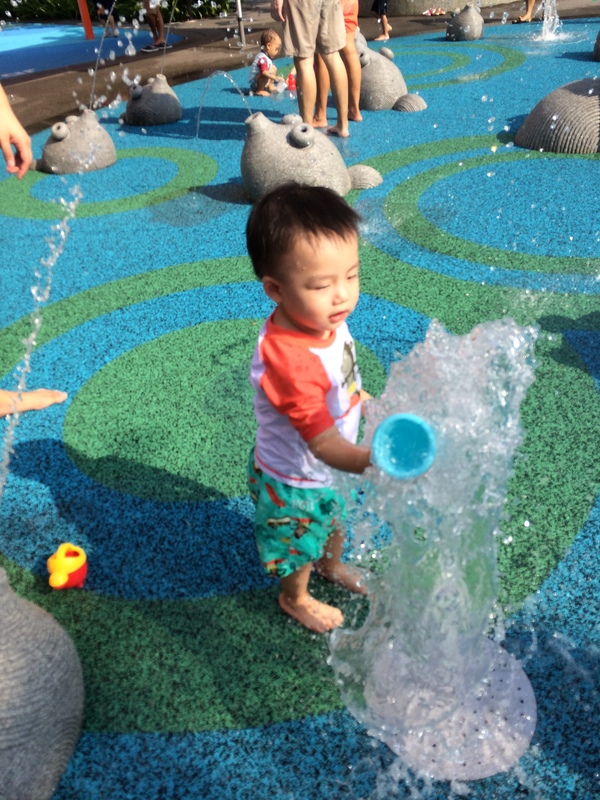 There were many other places to explore in the Children’s garden, so we put on hold the water play first. 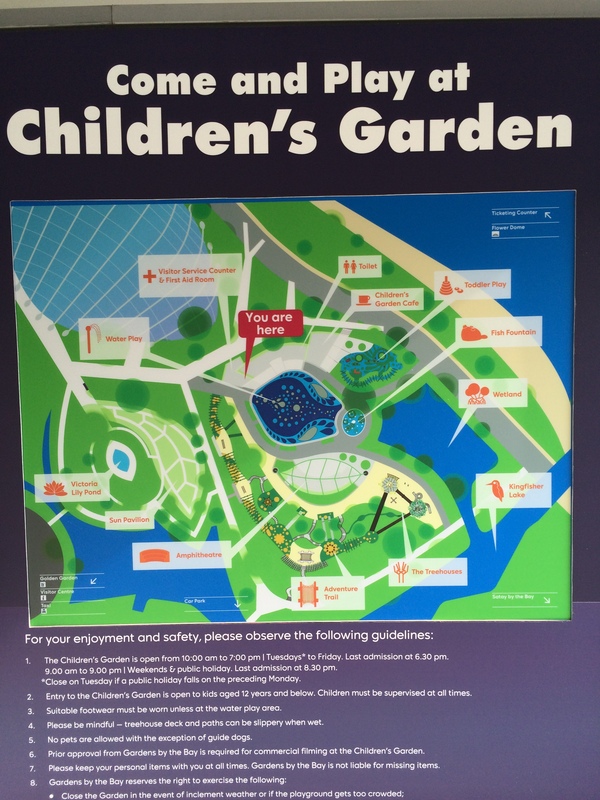 Here’s a map to see what they have to offer there. 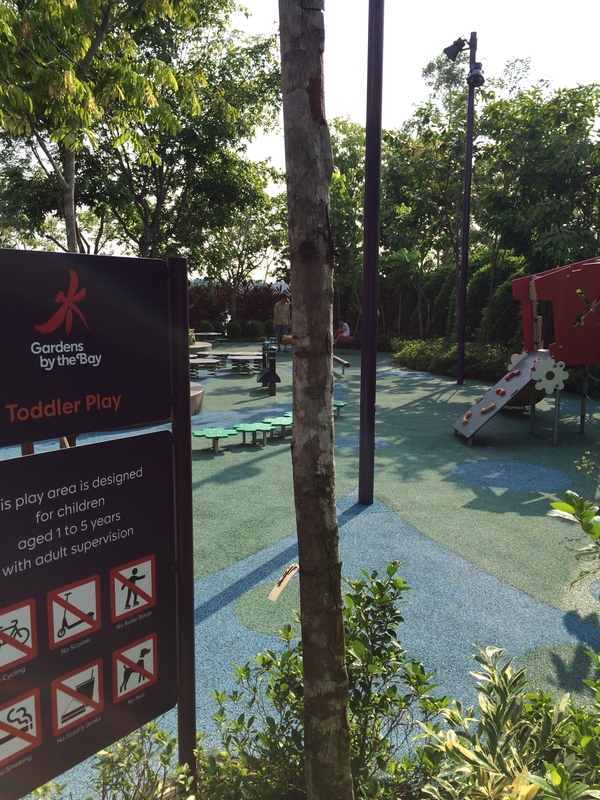 We didn’t bother playing at the toddler’s area as it was quite similar to the playgrounds you have at HDB blocks. There were sandpits around but we didn’t bring any spades/pails to play in. 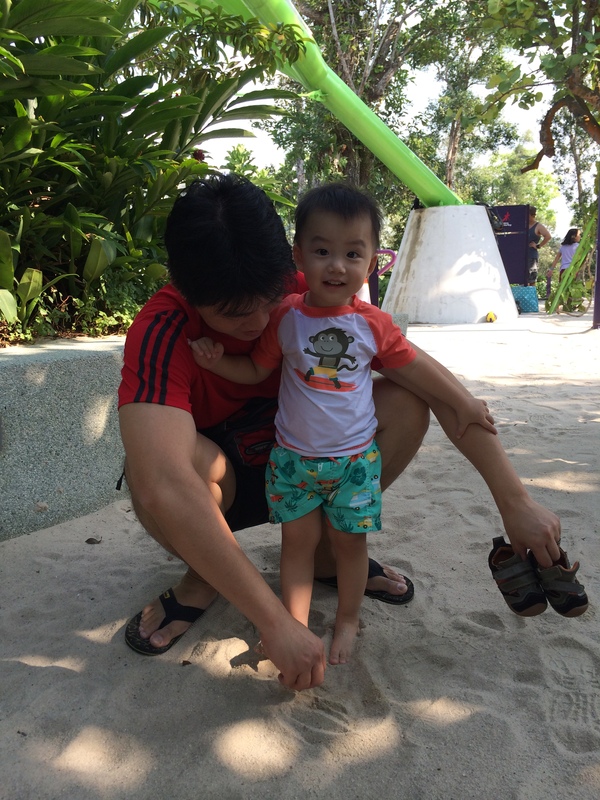 However, Riley did get his first feel of the sand under his bare feet at 20 months old, and he liked it! 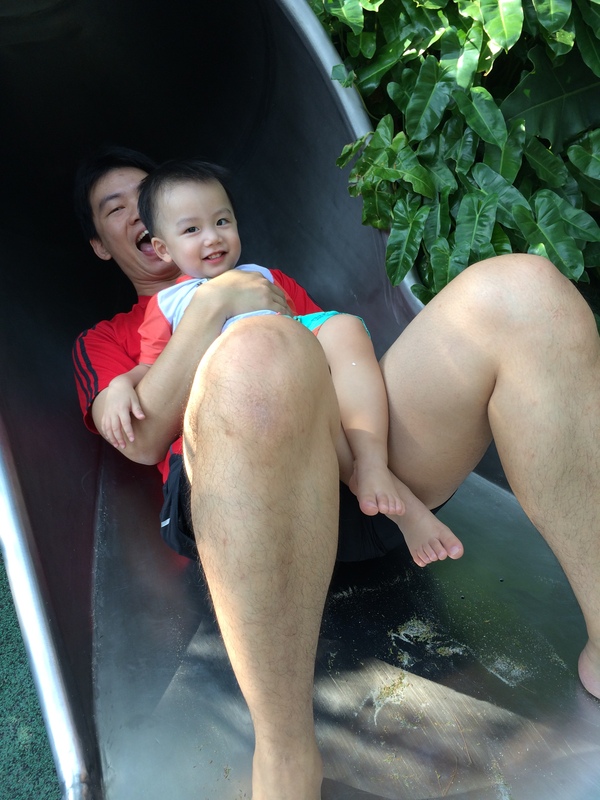 We had fun at the slide that was meant for older kids. 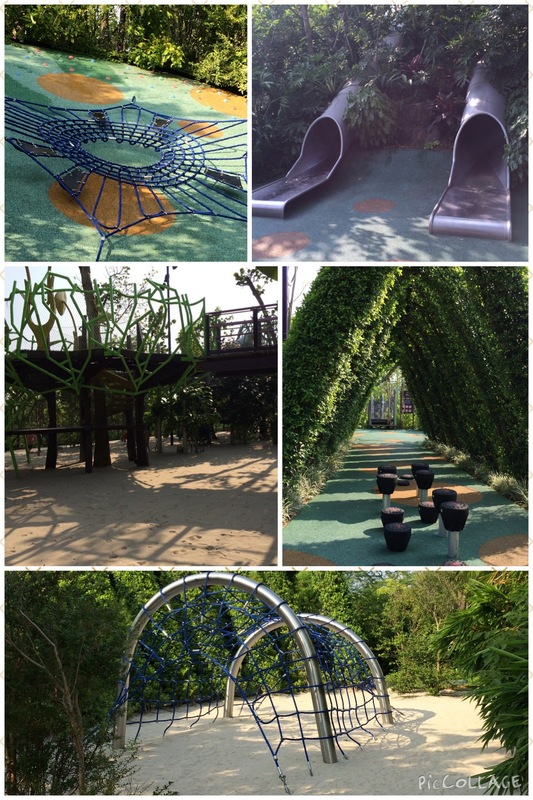 There are also many other areas for older kids as seen in the pictures below. 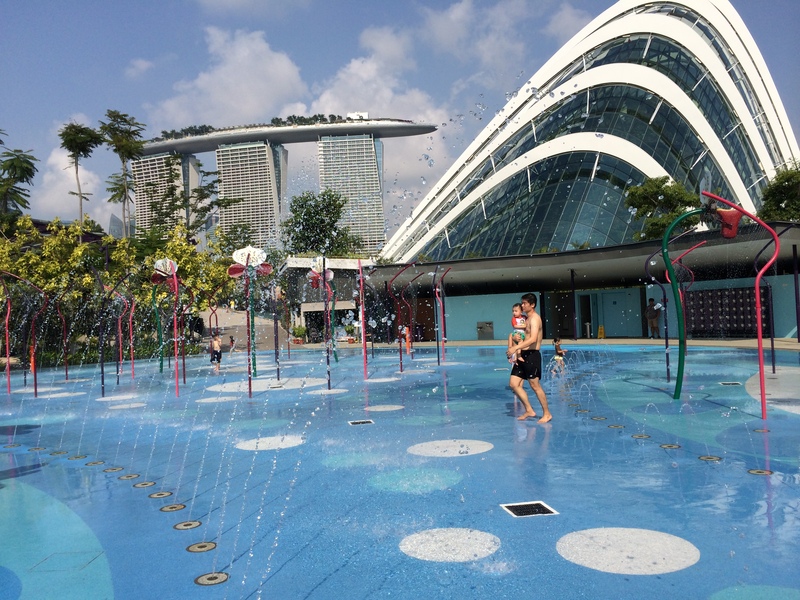 So after some time spent at the slides, we headed over to the water playground, the original intention of us being there. 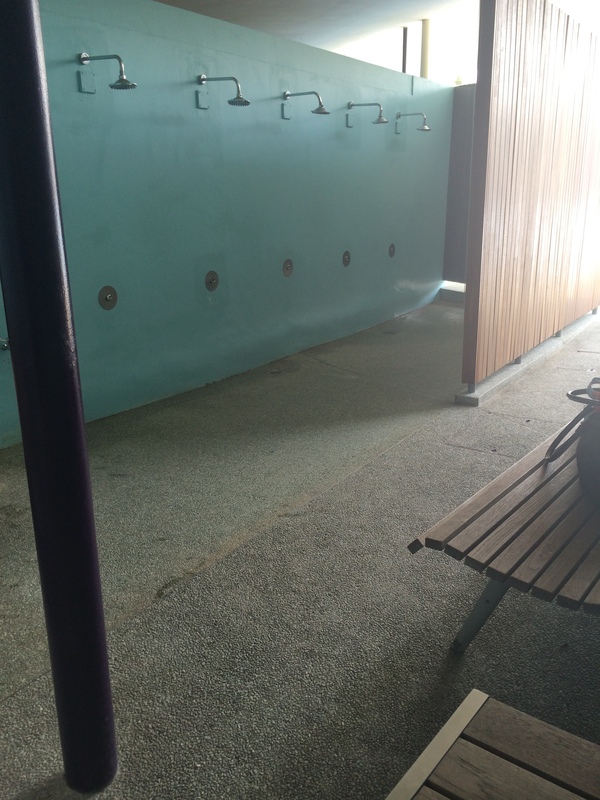 There is an area meant only for toddlers with smaller fountains. Flooring is made of the spongy material and will not hurt if a child falls. Riley enjoyed himself playing at the toddler side. Daddy brought him over to where the larger fountains were but he indicated that he wanted to go back to the toddlers’ area to play with his toys and the little fountains there. And we spent close to an hour just playing with the little fountains! After a long while of playing, it was time to shower and change up. 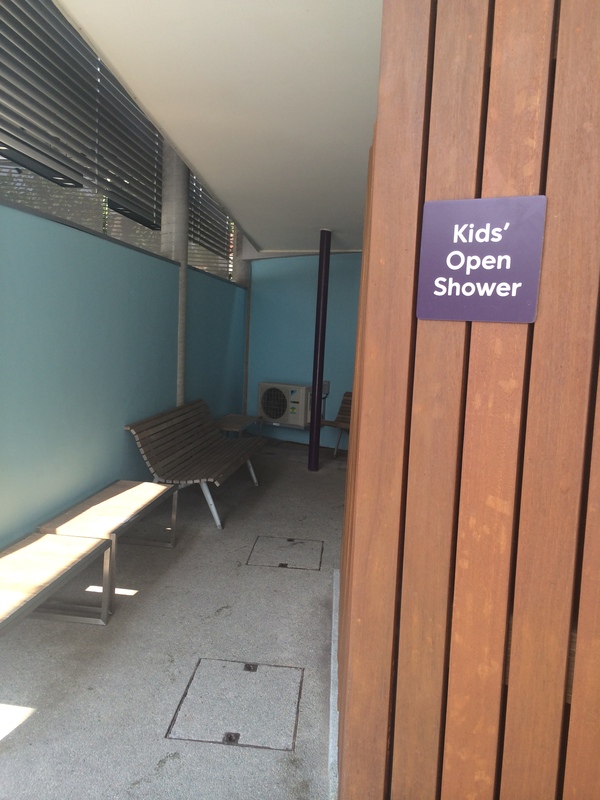 They have a open shower area for the kids. And I forgot to bring the shower foam again!! Got to remember this the next time round! 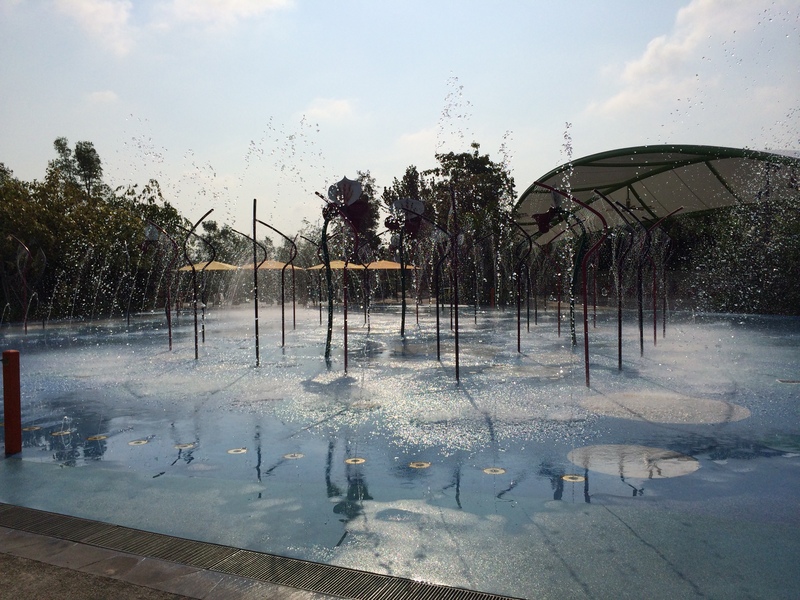 That’s it for our outing to Gardens by the Bay! If you happen to go there from now until 15 November 2014, you can take part in their monthly Instagram Contest. Prizes worth more than $500 to be won! 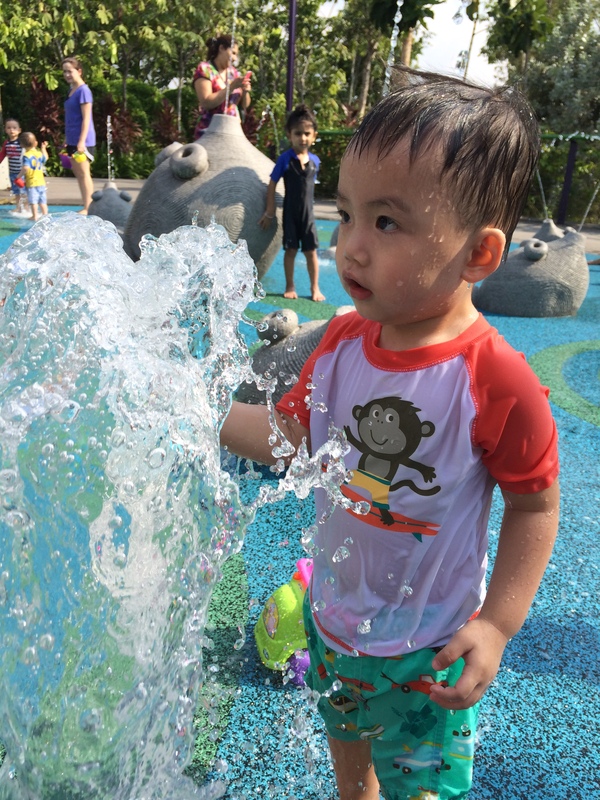 All you have to do is to tag your child’s picture of him/her having fun at the Children’s Garden with #GBFUNTIME on Instagram! More details can be found here.